We are open from 7am-6pm Monday thru Friday and 8am-1pm Saturday. 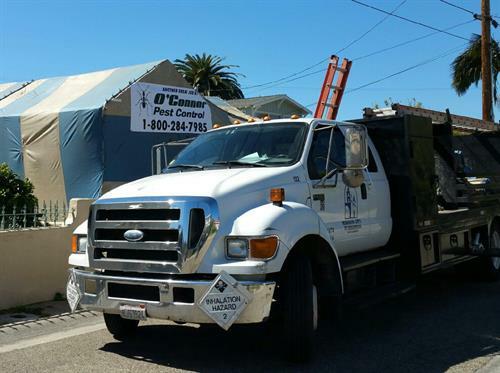 O'Connor Pest Control has operated successfully as a family-owned business for more than 60 years in 12 California Counties. Our use of Eco Smart Products reflects our servicing Eco-smart customers: both Residential & Commercial. 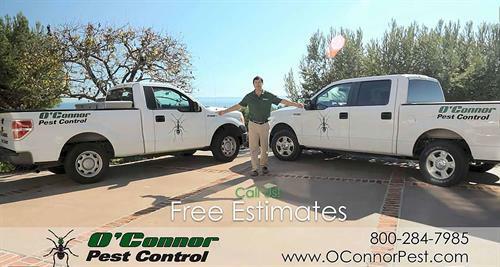 We offer Same Day Service, Free General Pest quotes & Senior Specials. Our licensed, bonded, & insured technicians are trained in pest control of termites, ants, rats & mice, cockroaches, fleas & ticks, silverfish, black widow spiders, crickets, carpet beetles, bees & wasps, plus gophers, moles, squirrels & birds. Thanks for supporting local business in many Cities. We greet our Prior Customers.